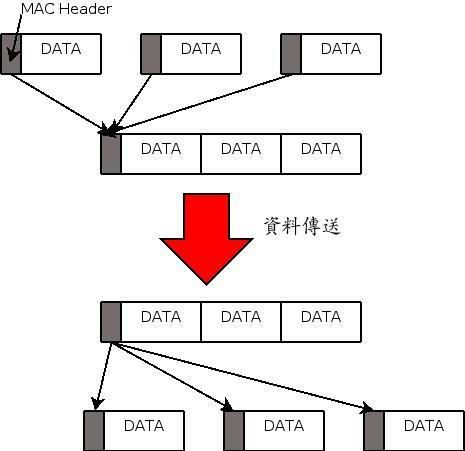 mmap 可以讓 user space access physical memory. 雖然是很簡單的小動作, 但是對 debug 和驗證 hardware 非常的好用. 網路上應該有不少 mmap sample code, 應該寫得更好. 再印出 “This is test string" 這個字串. 比較適合 Initial hardware 或是查詢 memory 內的值. 主要還是 mmap 是 User space , Data 要送到 kernel mode. 這一段要花一段時間, 而且 memcopy 非常耗時. 因為某個 Project 的的關係, 需要用我們 CPU 上的 Static Memory Interface 連到 Philips SC16C2552 這一顆 Parallel 轉 Serial 的 Dual UART IC . 其實以硬體來說, 如果線都拉好, Static Memory Interface 設好, 應該就能夠正常的讀取. 這一天做的事情很簡單, 就是設定環境, 將特別寫的一支 Serial Driver 換成 Linux 標準的 Serial Driver . 啟動 Static Memory Interface . 找 Hardware 修好線路, 也驗證 Register 也可以正常讀寫. 拿回去仔細修 Bug . 最後發現, TX/RX 半個鳥也沒有. 最後整理一下 Linux 下的 Serail Driver, 發現輸出非常慢(每 5 秒輸出 1 or 16 個字元)…..
都沒有做, 最後還是拿 GPIO 做 Interrupt 之後才正常. 很久沒有這樣被一顆爛 IC 搞到快瘋掉. 寫一篇 Blog 發洩一下… 更更更更! 但是不知道為什麼會動的結果… 後來也有引申 compile 第一次不過, compile 第二次就過的意思..
“# mv .config .. ; make mrproper ; mv ../.config . ; make dep ; make zImage"
我想 Linux 在修改程式後, 期望大家都要 make clean 再重編一次, 有時候或許就是這種 Voodoo Programming 發生功效了吧. 或是有可能是版上的某些線路, 例如 PCI 的線路拉出來都是一樣的, 為什麼 A 會, B 不會. 甚至是 Code 一樣, Performance 都不一樣. 如果是初學 Device Driver 的人, 更是不可少呀. Embedded System 的 SSL Library . 現在在做 Embedded Linux , 雖然還用不到, 不過有備無患. OpenSource 的 Power 無遠弗界, 最近看到 OpenCores 這個網站, 這是提供 OpenSource 的 IP. 也就是說, 使用者可以拿這些 IP 組合出自己想要的 IC, 不過仍需 Follow GPL/BSD License 的規範. 看起來 IP 還不少, SoC 的 Core, USB , UART , 10/100 MAC. USB 1.1 PHY 等等都有在內, 如果不是要做先進的 IC, 這邊的 IP 其實還算很夠用, 要做出自己的玩具應該也沒有問題. 不過 IC Design 麻煩的事並不在 IP 呀, IC 驗證/後段製程/軟體才是重要的問題.